This 32-oz. 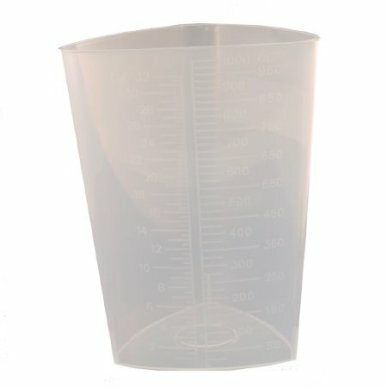 plastic triangular container is graduated and measures up to 1000cc or 32 ounces. For measuring intake or output accurately. Triangular style allows ease of measuring, visualization of contents, and comfortable handling. Features translucent polypropylene with a frosted panel for writing pertinent patient information. Graduations in ounces or cc.